When plaque sticks to your teeth, the bacteria inside of it produces acid that attacks your enamel. While your enamel, the outer layer of the teeth, is the strongest substance in your body, the acid can eventually wear a hole in it, and cause a cavity. This can lead to the infection of your teeth, so protecting your enamel is extremely important to your oral health. 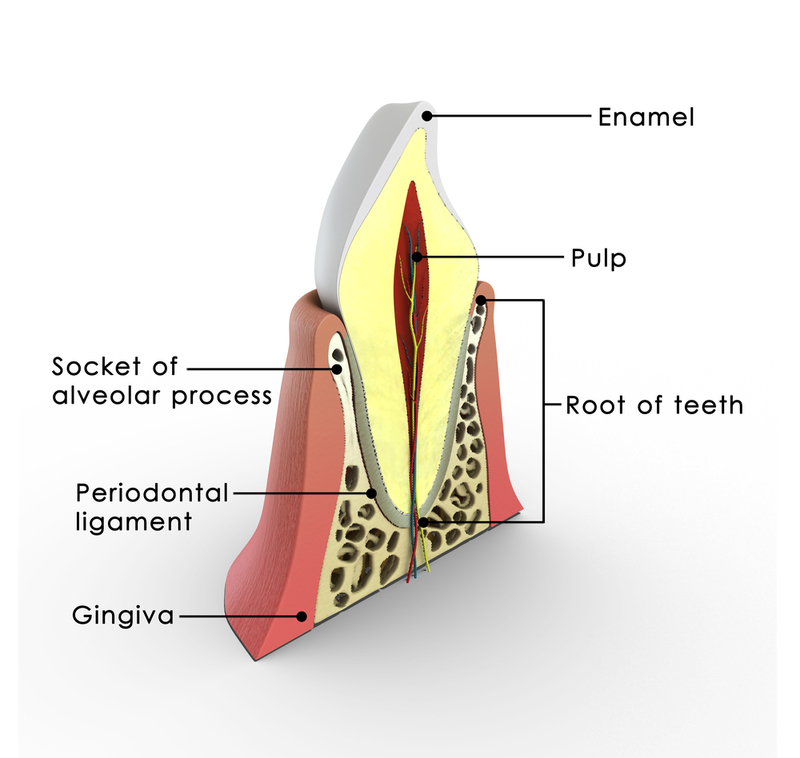 There are many facts about enamel that can help you better understand the nature of this important defense mechanism. 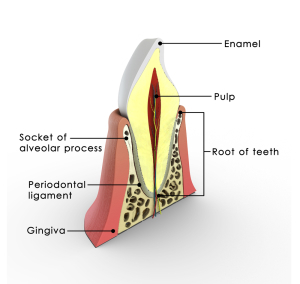 Enamel is actually a layer of minerals that surrounds the dentin, the second layer of your tooth. These minerals include phosphate and calcium, so ingesting foods or drinks (like milk) rich in these minerals can help strengthen your teeth. Water and proteins are also components of enamel. Though enamel is textually brittle, and can chip and crack if enough pressure is exerted, the proteins stretch the minerals into extremely long strands of crystals that are more resilient than anything else your body produces. Although you can replenish the minerals in enamel, the substance contains no living cells, which means that once a hole has been created, the damage cannot be repaired. If you develop a cavity, you must go to the dentist to prevent additional decay and infection. Fluoridated water (water with fluoride added to it) is meant to help bolster the enamel of children, as this mineral helps fortify their teeth’s outer layer. Ingesting fluoride does not typically protect an adult’s teeth, but you can use fluoridated toothpaste or topical treatments at the dentist’s office instead. Some people may be born without their full layer of enamel, a condition called amelogenesis imperfecta. People with this condition must take extra care of the enamel they do have by following the dentist’s guidelines for their oral health.